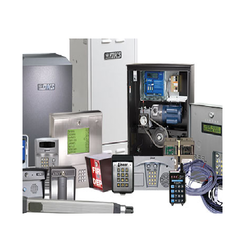 Manufacturer & Supplier of Electronic Locks & Electronic Safe Locks. Our product range also comprises of Security Equipment & Systems, Boom Barrier and Fire Extinguisher. 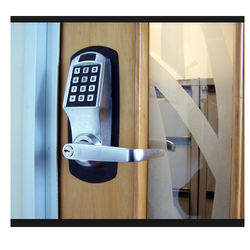 We specialize in the manufacturing and supplying of Electronic Lock that is wireless and needs no cable. Manufactured using supreme quality stainless steel sourced from reliable vendors, it is highly durable in its features. Attributing to its integral design and easy operation, the whole range of the electronic locks offered by us is immensely appreciated among the client-base we are pleased to garner. Our manufactured and supplied Remote Control System for Gate Opening are known for their precise control system and high reliability. With the designing being done by utilizing the team of potent professionals, these are highly accurate and have long range connectivity. We have with us wide specifications of these products for supply to customers as per their requirements at affordable price tags.